Paula Dore-Duffy, Ph.D. has been Professor of Neurology and Chief of the Division of Neuroimmunology since 1988. She was previously Associate Professor of Neurology and Director of the University of Connecticut MS Center. Dr. Dore-Duffy is Deputy Editor of the Journal of Neurological Sciences and currently sits on the editorial board of a number of other prestigious journals. Dr. Dore-Duffy's research interests fall within two main areas: 1) neuroimmunology of the CNS disorders, and 2) the physiology of the blood brain barrier (BBB) and the role played by the BBB in neurological diseases. Dr. Dore-Duffy developed techniques to isolate the CNS vascular pericyte, an integral cellular constituent of the neurovascular unit; she is considered one of the leading experts in this field. Her laboratory has recently identified this cell as an adult multipotent stem cell. Pericyte-related research projects include the role of pericytes in stress responses, brain tumors, and angiogenesis. 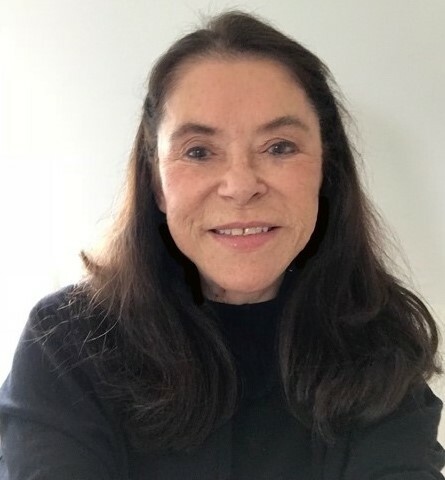 Dr. Dore-Duffy has been funded throughout her career by the National Multiple Sclerosis Society, the National Institutes of Health, the Kroc Foundation, various pharmaceutical companies, and private philanthropy. Dore-Duffy, P., Balabanov, R, Beaumont, T. Katar, M. The CNS response to Low Oxygen: Synthesis of Cyclopentenone Prostaglandins of the J-series. Microvascular Res 69:79-88, 2005. Katychev, A., Wang, X., Dore-Duffy, P. Characterization of CNS microvascular pericytes and endothelial cells exhibit multipotential stem cell activity. J. Cereb Blood Flow Metab 26:613-624, 2006. Dore-Duffy, P and LaManna, JC. Physiologic angiodynamics in the brain. Antioxid Redox Signal 9: 1363-1371, 2007. Dore-Duffy, P., Wang, X., Mehedi, A., and Rafols, J. Differential expression of capillary VEGF isoforms following traumatic brain injury. Neurological Res. 29: 395-403, 2007. Dore-Duffy, P. Pericytes: Pluripotent gatekeepers of the blood brain barrier. Current Pharmaceutical Design. 14: 1581-1593, 2008. Dore-Duffy P, Wencel M, Katyshev V, Cleary K. Chronic mild hypoxia ameliorates chronic inflammatory activity in myelin oligodendrocyte glycoprotein (MOG) peptide-induced experimental autoimmune encephalomyelitis (EAE). Adv Exp Med Biol 701:165-73, 2011. Dore-Duffy P, Mehedi A, Wang X, Trotter R, Gow A. Immortalized CNS pericytes are quiescent smooth muscle actin-negative and pluripotent: endothelial trophic signals increase the rate of differentiation. J Microvasc Res 82 (1):18-27, 2011. Dore-Duffy P, Wang S, Mehedi A, Katyshev V, Cleary K, Tapper A, Reynolds C, Ding Y, Zhan P, Rafols J. Pericyte-mediated vasoconstriction underlies TBI-induced hypoperfusion. Neurol Res 33 (2):176-86, 2011. Katyshev V, Dore-Duffy P. Pericyte coculture models to study astrocyte, pericyte, and endothelial cell interactions. Methods Mol Biol 2012:814:467-81.